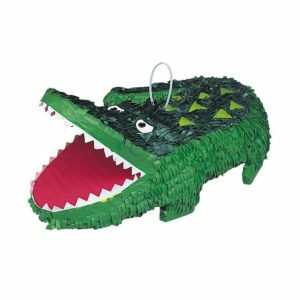 This alligator shaped piñata makes a really fun addition to your celebration! Fill the piñata with your favourite sweets and treats and take it in turns to try to break it open. WARNING: Not suitable for children under 3 years. Small parts – choking hazard. 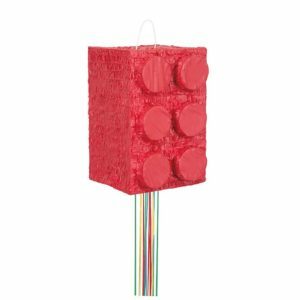 This building blocks 3D shaped piñata makes a really fun addition to your celebration! Fill the piñata with your favourite sweets and treats and take it in turns to try to break it open. WARNING: Not suitable for children under 3 years. Small parts – choking hazard. 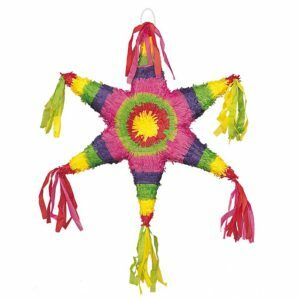 This mexican star shaped piñata makes a really fun addition to your celebration! Fill the piñata with your favourite sweets and treats and take it in turns to try to break it open. WARNING: Not suitable for children under 3 years. Small parts – choking hazard. 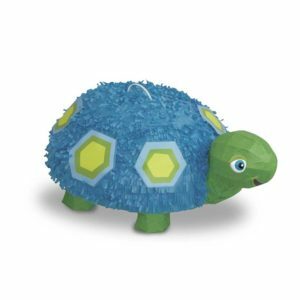 This turtle 3D shaped piñata makes a really fun addition to your celebration! Fill the piñata with your favourite sweets and treats and take it in turns to try to break it open. WARNING: Not suitable for children under 3 years. Small parts – choking hazard. 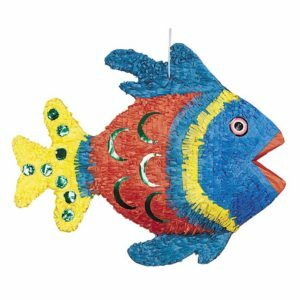 This angel fish shaped piñata makes a really fun addition to your celebration! Fill the piñata with your favourite sweets and treats and take it in turns to try to break it open. WARNING: Not suitable for children under 3 years. Small parts – choking hazard. 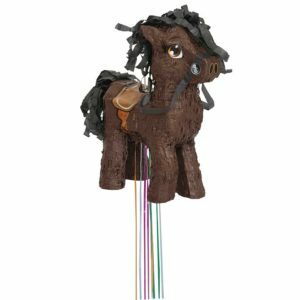 This brown horse shaped piñata makes a really fun addition to your celebration! Fill the piñata with your favourite sweets and treats and take it in turns to try to break it open. WARNING: Not suitable for children under 3 years. Small parts – choking hazard. 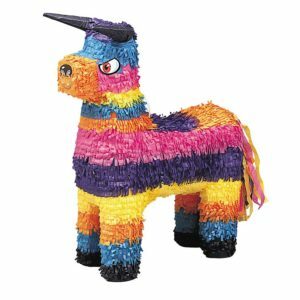 This bull shaped piñata makes a really fun addition to your celebration! Fill the piñata with your favourite sweets and treats and take it in turns to try to break it open. WARNING: Not suitable for children under 3 years. Small parts – choking hazard. 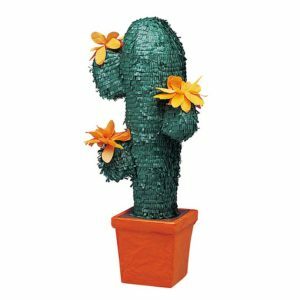 This cactus shaped piñata makes a really fun addition to your celebration! Fill the piñata with your favourite sweets and treats and take it in turns to try to break it open. WARNING: Not suitable for children under 3 years. Small parts – choking hazard. 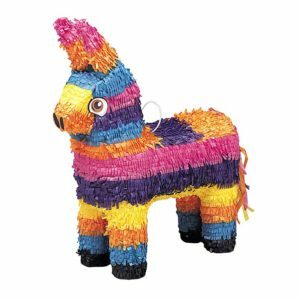 This burro shaped piñata makes a really fun addition to your celebration! Fill the piñata with your favourite sweets and treats and take it in turns to try to break it open. WARNING: Not suitable for children under 3 years. Small parts – choking hazard. 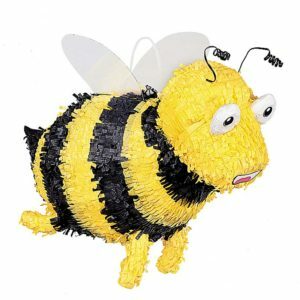 This bumblebee shaped piñata makes a really fun addition to your celebration! Fill the piñata with your favourite sweets and treats and take it in turns to try to break it open. WARNING: Not suitable for children under 3 years. Small parts – choking hazard. 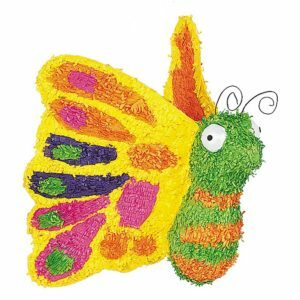 This butterfly shaped piñata makes a really fun addition to your celebration! Fill the piñata with your favourite sweets and treats and take it in turns to try to break it open. WARNING: Not suitable for children under 3 years. Small parts – choking hazard. 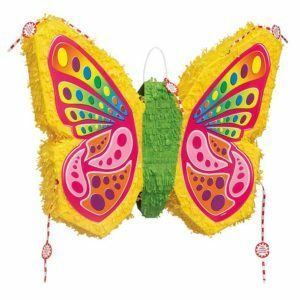 This butterfly shaped pop-out piñata makes a really fun addition to your celebration! Fill the piñata with your favourite sweets and treats and take it in turns to try to break it open. WARNING: Not suitable for children under 3 years. Small parts – choking hazard.